With all the challenges facing honey bees and beekeepers today, Varroa mites are still the greatest threat. In a past Ask Phil column, I answered a question about why monitoring for mites is so important. This month I am devoting an entire article to how it’s done and specifically how to use the Varroa Easy Check, made by Véto-pharma, to monitor more simply and accurately. Varroa: Remember, the purpose of monitoring is not to determine whether or not your hives contain mites; they do. All hives in this country do. The purpose is to provide a snapshot of how many mites are present on the bees at a given time, and how dangerous the level of infestation is. As much as 70% of a colony’s Varroa population can be present unseen in a colony’s brood cells. 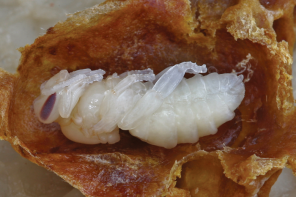 After a worker or drone egg laid by a queen bee hatches, an adult female Varroa enters the cell and lays her own eggs. As the immature bee develops, the newly hatched Varroa mites develop faster and begin feeding, first on the larval bee and then on the pupa. When the young bee emerges from the cell, the female mites – already mature and mated – leave also, looking for a suitable place to begin the cycle again in a brood cell. Both in brood cells and on adults, mites feed on the bees, weakening them and spreading viruses and other diseases in the process. Monitoring: When we monitor, we are not actually sampling the number of Varroa mites in the colony, but only those on the adult bees, technically called phoretic mites. We express these numbers as percentages – ratios of mites found per 100 adult bees. 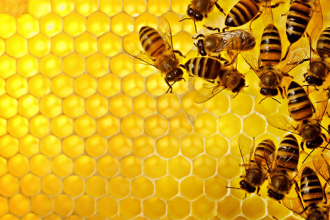 Through research and observation of colony dynamics, scientists have developed thresholds, short for Varroa control thresholds. A mite count percentage below the threshold is considered acceptable; one at or above it indicates the need for some form of mite treatment. 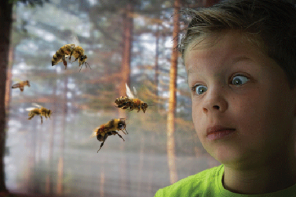 It’s a laudable attempt to help beekeepers quantify their level of risk based on objective data, and it is a useful tool. Unfortunately, thresholds vary depending on region and season. For example, if you have bees in Florida, where honey bee brood production (and therefore Varroa mite reproduction) takes place throughout most of the year, infestations can develop rapidly year round. Thresholds for treatment there are lower than in Michigan or Maine which have much shorter seasons for rearing honey bee brood. I keep my bees in Kentucky, not far from the Ohio River. Here, as I write this in late February, my colonies are starting to increase brood production, and Varroa reproduction is also increasing. My threshold will be somewhere in between Florida and Maine. 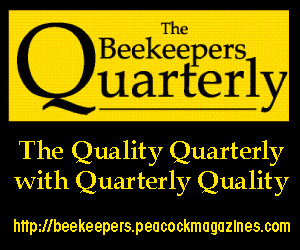 Interpretation of the Varroa count varies with time of year as well. In the Spring, or prior to the onset of strong seasonal nectar flows, we use lower thresholds when making decisions about treating. That is because a colony’s brood production is ramping up and Varroa populations can explode suddenly. It’s better to be fore warned and treat, if necessary, before honey supers go on and monitoring becomes much more cumbersome. I recommend considering control measures at levels of just one mite per 100 bees early in the Spring build up. By control, I mean the use of a registered miticide; homemade remedies are not effective. 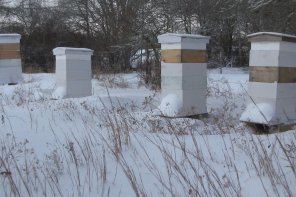 Later in the season, after the honey flow ends, is the other critical time for Varroa monitoring. At that period I use a threshold of three mites per 100 bees to indicate the need for immediate treatment. I’m comfortable with these suggestions for the mid-eastern U.S., but I strongly urge beekeepers to consult with their state bee inspectors or university extension specialists for thresholds in their area. 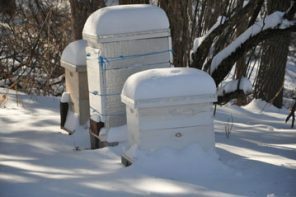 As I’ve mentioned before, the Honeybee Health Coalition website (https://honeybeehealthcoalition.org/varroa/) is another excellent source of information about protecting your hives from Varroa, and other health concerns. 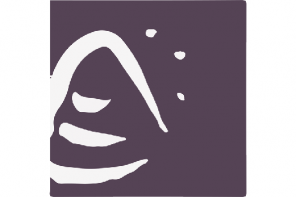 Methods: The most accurate method of monitoring is an alcohol wash. It involves collecting a sample of adult bees and placing them in a liquid (normally alcohol) which causes the mites to release their attachment to the bees and float in the liquid. The bees are then separated from the mixture making it easier to count the mites which remain behind. 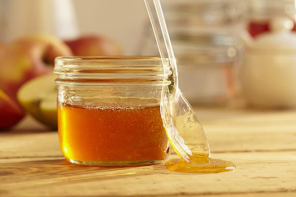 Traditionally, beekeepers have used various devices, some commercially produced, but mostly homemade, to conduct alcohol washes. Windshield wiper fluid can be substituted for the alcohol, though a low suds, Winter solution is best for visibility. I always use the most inexpensive alcohol I can find. Keep in mind that this process will kill the bees, and be careful to ensure that the colony’s queen is not in your sample. Carefully check the frame, or frames, from which you will collect the bees for testing, and make sure she is not there. Even better, locate the queen before sampling, and isolate that frame. I prefer to find her and place her with the frame she is on in an empty nuc box while taking the sample. The recommended sample size is 300 bees, or ½ cup. It doesn’t seem possible that that many bees will fit in such a small volume, but it’s a pretty good estimate. Take my word for it, or count the dead bees individually if you will. Some beekeepers hesitate to kill 300 bees, but 300 from a colony of 20,000 or more adult bees is a tiny percentage of the colony’s population, and well worth the sacrifice to gain accurate results. If the colony is weak, you can take a smaller number, though 300 bees is the optimum number for accurate results. There are alternative monitoring methods which do not kill bees, but an alcohol wash is the most efficient. Other options include sticky boards and powdered sugar rolls. 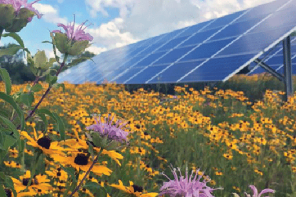 I discussed these alternatives in an Ask Phil column in June 2015, if you are reading this article in an electronic format, you may click on the accompanying link, or contact me for a copy of the column. As I described in more detail in that article, sticky board monitoring can yield some information, but the results are more difficult to interpret because they don’t take into account the population of the colony. By expressing results as a ratio of mites to bees, both alcohol washes and powdered sugar rolls eliminate the variable of colony size. However, because some Varroa fail to release in a powdered sugar roll, an alcohol wash is more precise. 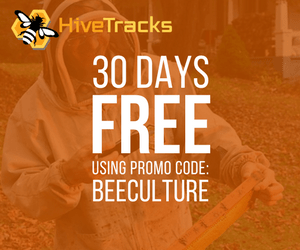 It’s also quicker and simpler to perform, so it is the method of choice for most beekeepers. For those who prefer to conduct powdered sugar rolls, please note that, whereas this method does not kill bees, it is still better to find and isolate the queen to avoid injuring her. 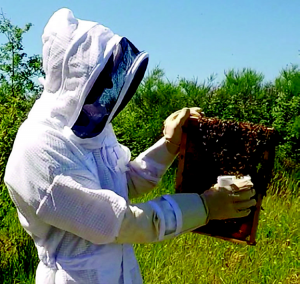 Using the Varroa Easy Check: Most beekeepers understand the importance of monitoring for Varroa mites, but many still don’t do it – maybe because they don’t know how, because they don’t have the right equipment, or because it’s messy. 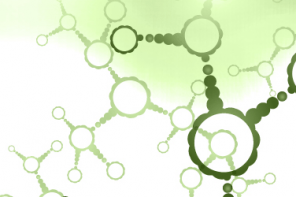 In 2016 Véto-pharma saw the need for a reliable, easy to use, and durable tool to simplify the monitoring process. 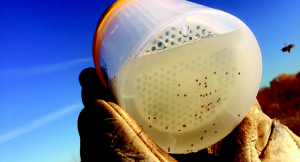 The product that resulted is the Varroa Easy Check, designed to be used for Varroa alcohol washes. The Easy Check is made up of three parts: a clear plastic bowl, a white basket with holes, and a tight fitting lid. Step 1) Start by pouring just enough fluid into the bowl to cover the bottom of the white basket. You can use denatured (rubbing) alcohol purchased from any retail store or Winter windshield washer fluid (with contains alcohol) as described above. Step2) Find and isolate the queen, or carefully check for her on the frame or frames from which you intend to take your sample. Step 3) Take your sample. The basket contains two lines on its interior surface between the rows of holes. It takes 300 bees to fill the basket to the top line; 200 to the lower one. Scrape the basket down the surface of brood frame being sampled as shown in the photograph. Be sure to scrape the frame down, not up. As you pull the basket along the face of the brood frame bees will Fall into the basket. For best results, fill it all the way to the top line. You could also sample the bees by shaking them from the brood frame or frames into a plastic tub, and scoop them out with the basket. Step 4) Twist and shake. After you have collected enough bees, secure the basket in the bowl and quickly twist the lid on to prevent the bees’ escaping. Shake once to immerse them in the liquid. This will kill both the bees and any mites on them. Remove the lid and add the washing fluid to the fill line on the transparent bowl. (The fine line is marked inside the bowl). Re-secure the lid and shake the EasyCheck for 60 seconds. You can shake vertically, from side to side, or rotate it to optimize separation. (If you’re in a remote beeyard it’s OK to sing out loud while you bust a move. Use discretion in more populated areas.) Tip: Keep the Easy Check upright. You may be tempted to turn it upside down to dislodge the mites from the bees, but that could jam the Varroa in the lid and prevent them from falling though the holes. Step 5) Counting. 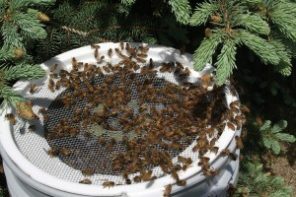 The transparent bowl makes it easy to count the mites, either before or after removing the basket of bees. After noting the number, you can filter the liquidthrough a very fine sieve or cloth into a collecting container and reuse it on the next hive. Step 5) The numbers. 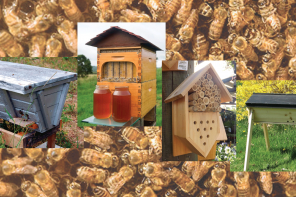 To calculate the percentage of infestation, divide the number of Varroa counted by 3 (if 300 bees are sampled), by 2 (if 200 bees sampled) or adapt the formula according to the size of your sample. This gives you a Varroa count per 100 bees. 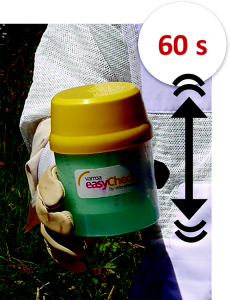 For more information about the Varroa Easy Check, go to http://www.veto-pharma.com/61-varroa-easycheck.html. 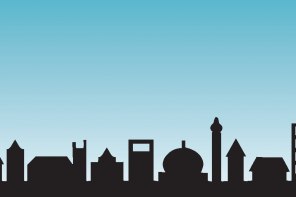 An instructional video may be viewed at: https://vimeo.com/174841012. 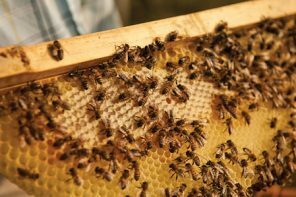 Those of you who read my column in Bee Culture, or have heard me speak, know my philosophy of beekeeping: that we have an obligation to the honey bees in our care just as farmers do for the health and well-being of their livestock. To fulfill that obligation it’s vital that we make ourselves aware of what is going on inside our hives. 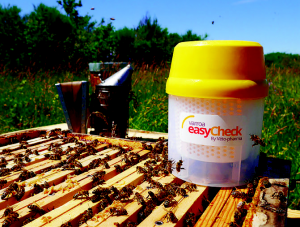 The purpose of the Varroa Easy Check is to encourage beekeepers to monitor by making the procedure more convenient. 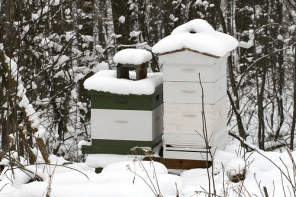 The important thing is to inspect your hives frequently and monitor, monitor, monitor. through a very fine sieve or cloth into a collecting container and reuse it on the next hive. Step 5) The numbers. To calculate the percentage of infestation, divide the number of Varroa counted by 3 (if 300 bees are sampled), by 2 (if 200 bees sampled) or adapt the formula according to the size of your sample. This gives you a Varroa count per 100 bees. 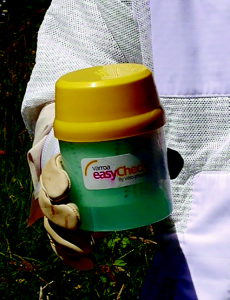 For more information about the Varroa Easy Check, go to http://www.veto-pharma.com/61-varroa-easycheck.html. An instructional video may be viewed at: https://vimeo.com/174841012. 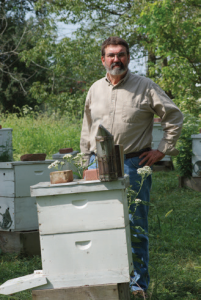 Those of you who read my column in Bee Culture, or have heard me speak, know my philosophy of beekeeping: that we have an obligation to the honey bees in our care just as farmers do for the health and well-being of their livestock. To fulfill that obligation it’s vital that we make ourselves aware of what is going on inside our hives. 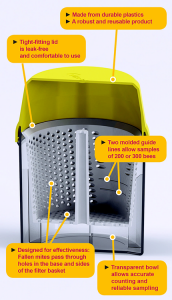 The purpose of the Varroa Easy Check is to encourage beekeepers to monitor by making the procedure more convenient. 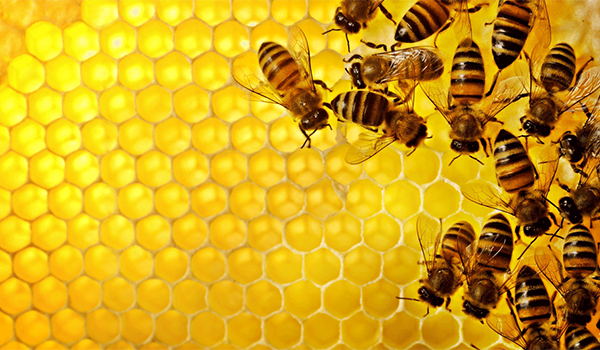 The important thing is to inspect your hives frequently and monitor, monitor, monitor.